L I V I A: [BEST ANTIPERSIRANT RANGE FOR THIS SPRING 16'] FEAT. NIVEA'S NEW PROTECT + CARE DEODORANT - ANTIPERSPIRANT + ROLL-ON RANGE! [BEST ANTIPERSIRANT RANGE FOR THIS SPRING 16'] FEAT. NIVEA'S NEW PROTECT + CARE DEODORANT - ANTIPERSPIRANT + ROLL-ON RANGE! NIVEA recently launched their NEW Protect & Care Deodorant range. Say hello to NIVEA's NEW Protect and Care Deodorant range specially designed with 48 hours of protection for the delicate underarms. 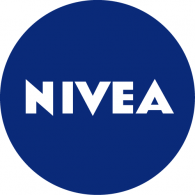 A little fact with NIVEA is that they have over 100 years of skincare innovation and 25 years of deodorant expertise. As for their new Protect and Care Deodorant range, they now offer an anti-antiperspirant aerosol and roll-on range - so depending on what you're most comfortable with, there are two options for which you select from. The new collection delivers a breakthrough formula which leaves your underarms feeling comfortable all day long. You get 48 hours of the ultimate protection and leaves the skin feeling dry and odourless. The NIVEA Protect and Care Deodorant is available for both men and women and they feature the fresh and pure NIVEA Creme fragrance. The NIVEA Protect and Care Antiperspirant aerosol retails for $6.79 (AUD), whilst the Roll-on retails for $3.79 (AUD). The range is available from all good retailers. Have you checked out the latest range by NIVEA?